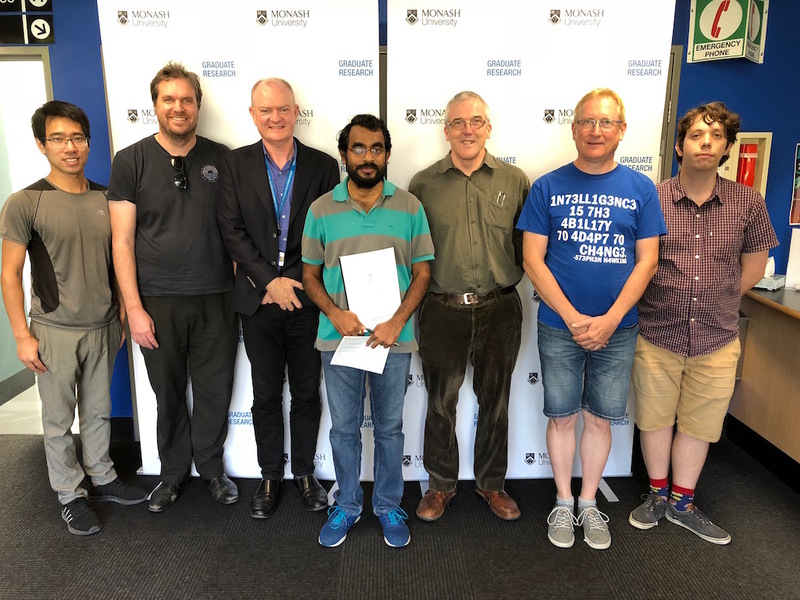 Congratulations to Srinibas Swain, who submitted his PhD thesis on 26th February. The title of the thesis is Graph parameters: theory, generation and dissemination. Main supervisor was Graham Farr, associate supervisors were Kerri Morgan (now at Deakin University) and Paul Bonnington. You are currently browsing the Discrete Mathematics weblog archives for March, 2019.